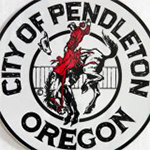 PENDLETON, Oregon – Municipal fees are no longer neglected. That means several of them – including taxi fares, lien searches, and water station set-up charges – are going up. City Manager Robb Corbett said the Pendleton City Council changed its way of dealing with rate hikes and fee increases about two years ago. “We would rather implement increases in small increments rather than wait five or 10 years and then do one big rate hike,” he said. Pendleton Sanitary Service raised its rates starting the first of this month, also. The increase of 2.1 percent didn’t have to be approved by the council. Corbett said that a few years ago, the council gave PSS permission to make minor rate adjustments, based on the cost of doing business, without its approval. The company gave three main reasons for the need to raise rates. Pendleton Public Works Director Bob Patterson says that PSSI purchased much-needed replacement equipment last year, the recycling inventory did not provide the revenue stream that had been forecast due to market conditions, and landfill tippage fees were increased in 2015, adding about $20,000 annually to the company’s expenses.